Damascus (AFP) - An Israeli attack on a Syrian training camp near the Golan Heights killed three members of a pro-government militia on Sunday, an official from the forces said. The Al-Fawwar camp in Syria's southwestern Quneitra province is used by the National Defence Forces (NDF), which command some 90,000 fighters across Syria. The NDF official told AFP that two fighters were also wounded in the Israeli attack, but said it was unclear whether the damage was inflicted by an air strike or shelling. Another Syrian source inside the training camp told AFP that around 6:00 am local time (0300 GMT), "security guards at the camp saw what looked like three fireballs coming towards the camp." "Then there were several consecutive blasts because of the explosion of ammunition warehouses" that firefighters worked hard to extinguish, the source said. The source also said that they were "Israeli rockets" but could not specify what kind of missiles may have been used. The Syrian Observatory for Human Rights monitoring group said the attack had targeted a "weapons warehouse" in the camp. Israel's army declined to comment Sunday on the attack. 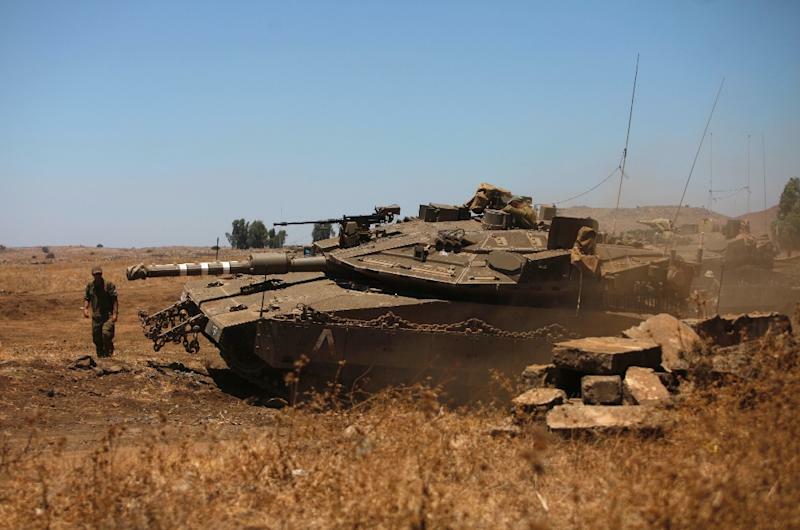 On Friday, the Israeli army said it targeted positions inside Syria in retaliation for mortar fire that hit the northern part of the Golan Heights. At the time, Syria's official news agency SANA said Israel had struck a Syrian army position in the province of Quneitra on the Golan plateau, "causing damage".